Who is Behind the Period of PURPLE Crying? Frustrated With Your Babys Crying? All of the information on this website is research based and written by experts in various fields of child development. The following is a list of our authors and their articles. Ronald G. Barr, MA, MDCM, FRCP(C), developed and tested prevention materials referred to as the Period of PURPLE Crying in collaboration with Marilyn Barr. He is the Canada Research Chair in Community Child Health Research at the University of British Columbia, Professor of Pediatrics in the Faculty of Medicine at UBC, and Head of Developmental Neurosciences and Child Health at the Child and Family Research Institute at BC Children's Hospital. Barr is also a Fellow of the Experience-based Brain and Biological Development Programme of the Canadian Institute for Advanced Research. Dr. Barr is currently a Fellow of the Canadian Academy of Health Sciences. 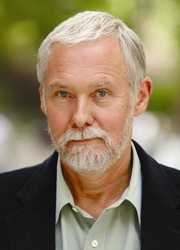 He was a Fellow of the Center for the Advanced Study of Behavioral Sciences at Stanford in 2000-2001. 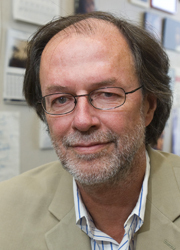 He was Associate Editor of the journal Child Development, and serves on the editorial boards of more than a dozen pediatric, child development, and anthropology journals. Dr. Barr is a past President of the Society for Developmental and Behavioral Pediatrics and past Chair of the Developmental Committee of the Canadian Centre of Excellence Network. Ian St James-Roberts is Professor of Child Psychology, based in the Thomas Coram Research Unit, Institute of Education, University of London, UK. He holds an honours degree in Psychology and Philosophy and a PhD in Psychology from the University of Newcastle upon Tyne. He is a Chartered Psychologist and a Fellow of the British Psychological Society. He has conducted research into children's emotional and behavioural development and problems with the support of the United Kingdom Wellcome Trust, Medical Research Council, Government Home Office, Youth Justice Board for England & Wales, and business organisations. Ian has published extensively in medical and psychological journals, co-edited two books on infant crying and sleeping problems, and spoken at scientific and professional meetings all over the world. He is on the Association for Infant Mental Health Executive Committee, a recent member of the Editorial Board of Archives of Disease in Childhood, and continues to serve on the Editorial Board of Current Pediatric Reviews and on the review panels of other granting bodies and scientific journals. He has acted as Advisor to BBC/ITV television series: Baby Monthly; Nanny Knows Best; Child of Our Time. 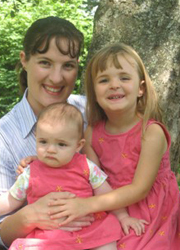 Dr. Russell is an Assistant Professor of Psychology at Worcester State College. She is among the developmental psychology faculty there, focusing her passion for teaching on the development of children and adolescence. Russell sits on several editorial boards as well as the advisory board for "Currents in Teaching", an interdisciplinary journal focused on furthering instruction in higher education. Her research focus on infant studies began with the study of infant-parent regulation and continues to center on the relationship between parent and child in the first three years of life. During the last several years Russell has brought her expertise in program evaluation and measurement to the field of child abuse and neglect, and is specifically committed to the study of Shaken Baby Syndrome. Russell has published several academic papers on this subject and continues to present at international conferences and smaller, local venues alike. 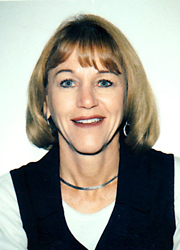 Dr. Parke is a Distinguished Professor of Psychology Emeritus and past Director of the Center for Family Studies at the University of California, Riverside. His interests include fatherhood, the relation between families and peers, ethnic variation in families, and the impact of the new reproductive technologies on families. He has served as Editor of Developmental Psychology and the Journal of Family Psychology, and as Associate Editor of Child Development. 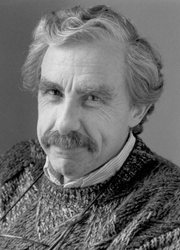 He was president of the Division of Developmental Psychology of the American Psychological Association and of the Society for Research in Child Development. He received The G Stanley Hall award from the Division of Developmental Psychology of APA, the Distinguished scientific contribution award from Society for Research and Child Development and the graduate student mentoring award from the graduate division of University of Callifornia, Riverside. He is the author of several books including Fathers and Fatherhood and co-author of Throwaway Dads (with Armin Brott) and Child Psychology: A contemporary perspective (with E.Mavis Hetherington and Mary Gauvain) which appeared in its 7th edition in 2008. With Alison Clarke-Stewart, he has just written Social Development which will be published next year. Marilyn Barr is the founder and former executive director for the National Center on Shaken Baby Syndrome SBS/AHT. She oversaw the development and testing of SBS prevention materials referred to as the Period of PURPLE Crying in collaboration with Dr. Ronald G. Barr. She also serves as the director of the British Columbia Shaken Baby Syndrome Prevention Program at B.C. Children's Hospital in British Columbia, Vancouver, B.C., Canada. Barr has worked in the field of child abuse prevention since 1978 and has a degree in social work, criminal justice, and communications. She developed one of the first prevention programs on SBS/AHT in the world. Barr has directed 12 national and international conferences on SBS/AHT as well as 15 state and national conferences on child abuse and neglect. She founded the Child Abuse Prevention Center of Utah and served as its chief executive officer from 1981 to 2003. She also founded the Utah Chapter of the National Committee for the Prevention of Child Abuse in 1983 and served as president of the board of directors from 1983 to 1987. Barr is a co-principal investigator on four studies related to the Period of PURPLE Crying and has been published in Pediatrics and the Canadian Medical Association Journal.